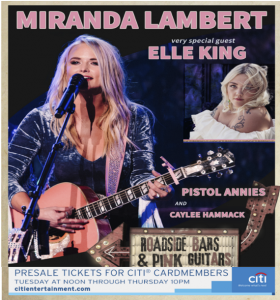 Miranda Lambert’s “Roadside Bars and Pink Guitar Tour 2019” is coming to Van Andel Arena on September 19, 2019. She is going on tour this fall with some special guests and is making a stop here, in Grand Rapids. 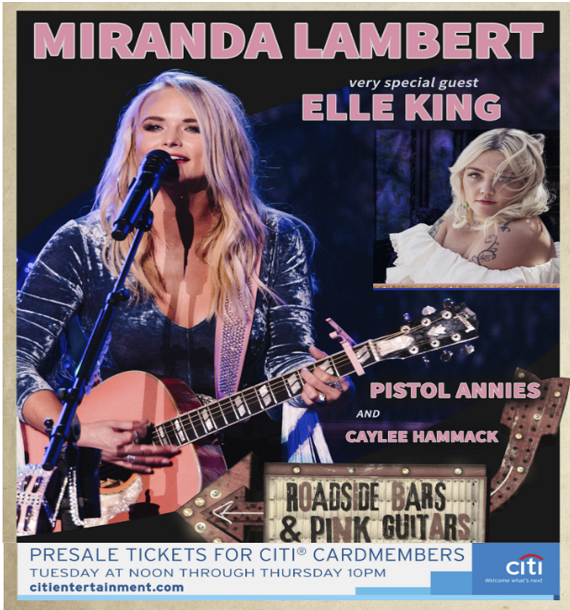 Her special guests will be Elle King, Pistol Annies and Caylee Hammack. Tickets for her stop in Grand Rapids are on sale NOW! To purchase, click here.